We know how difficult and daunting it can be to consider going solar. That shouldn’t be the case! Renu Energy Solutions is here to help. We’ve assessed thousands of residents and businesses for their ability to benefit from solar, and when they can benefit from solar we save them significant dollars every year. 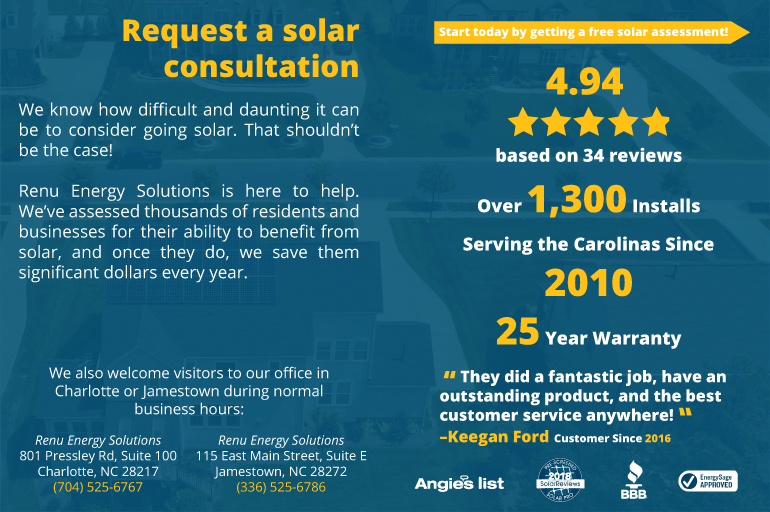 Start today by getting a free solar assessment!